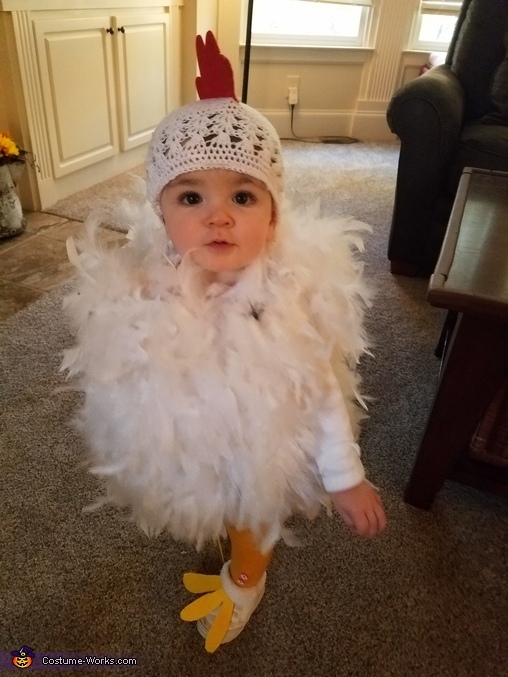 My daughter is wearing the costume. A friend gave us the idea. I made it myself with onesie, batting, feather boas, and felt.